Here’s your chance to try out some new skincare for free before you buy it! 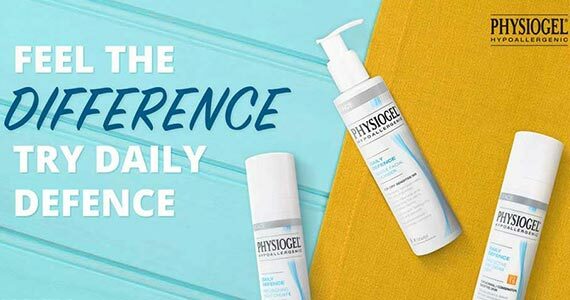 Physiogel Facial Care is a line of hypoallergenic face care products for dry, sensitive and redness prone skin. Simply complete the short form by entering your shipping address to receive a sample of the NEW Daily Defence Protective Day Cream which contain a unique triple action formula – broad spectrum UV protection, Physiogel BioMimic Technology and antioxidants.